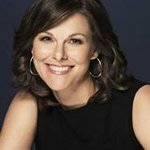 Campbell Brown hosted the Campbell Brown Show on CNN and was the former co-anchor of Weekend Today on NBC-TV. She is an education activist, and in 2013 founded the Parents Transparency Project. In April 2014, Brown launched a new website, CommonSenseContract.com, to influence New York City’s contract talks with the United Federation of Teachers. Google trends for "Campbell Brown"
We don't have any videos related to Campbell Brown.